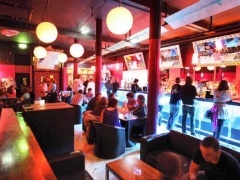 Dry Bar, Manchester, M1 1JN. Dry Bar pub review, map and rating. Looking for a Hotel near Dry Bar? Great venue and really nice interior. DJ there was mint and there was plenty of room on the dancefloor. Top night and I'd recommend it to anyone.